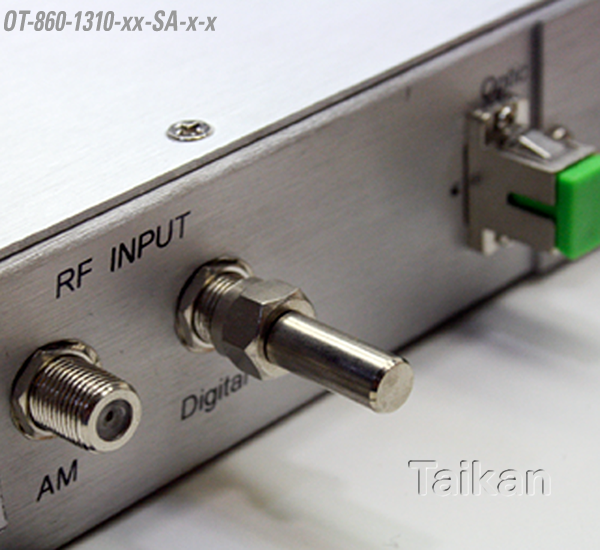 Taikan's externally modulated 1550 Transmitters are ideal for CATV Hybrid Fiber Coax (HFC) networks designed for long distances. The transmitters are available in a single or dual fiber output and are available in launch powers from 3 to 7 dBm. The dual fiber output transmitters have launch powers up to 11 dBm.